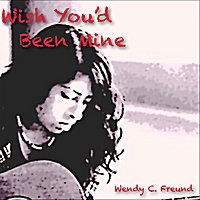 The debut acoustic EP from Singer/Songwriter Wendy C. Freund, featuring songs of love and loss. I wrote my first song when I was six years old and I have loved music my entire life. I am a student of classical guitar, playing since I was twelve years old. I have been singing since I could talk. The songs on this EP, an old Moody Blues rock tune and three original compositions, are representative of where I am now both in my life and musically.